We already know the shared parenting community is selfless and always willing to help those in need. Now is our chance to show the world what we’re all about! 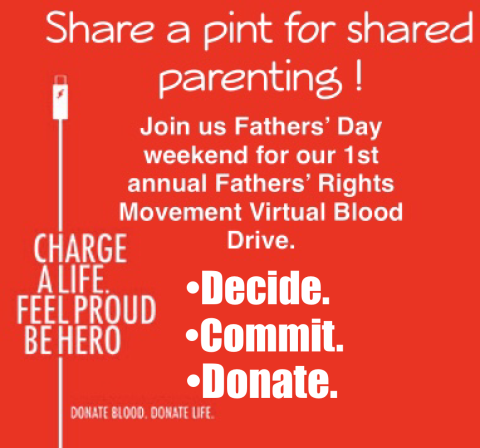 Our 1st annual virtual blood drive will be on Fathers’ Day weekend 2018. Please help us make this campaign a success by signing up to share a pint to support shared parenting a save a life while doing it.